TIME TO EXPRESS LOVE, CARE & AFFECTION TO THE ONE YOU LOVE. MuffinsLabs offers an awesome application to design and send Valentine Greetings to the one you love. Design your own card with a huge collection of beautiful backgrounds, Teddys, Hearts, Flowers, Balloons, Chocolates, Gift Boxes, Ribbons, Quotes and much much more!!! 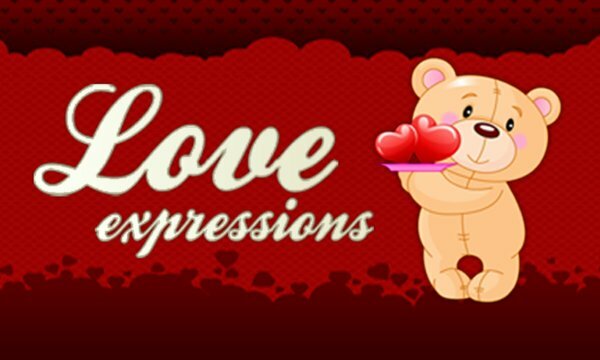 So just download Love Expressions on your device and show your loved one's how special they are. •	User friendly and extremely easy to use interface. •	Choose the background of your choice to suit your mood. •	Convenient navigation and selection of over 500 objects. •	Move, re-size, rotate and flip Valentine objects with latest Pinch Zoom technique. •	Add your pictures from Camera or Photo Gallery. •	Share/send your cards directly on Facebook, Twitter , Email or save it in your photo gallery. Let’s make this Valentine a memorable experience for the one you love.